What can we say about this FINE FRENCH C 1890-1910 Painted Porcelain piece from France, except pieces of this nature are getting harder and harder to come by every day!! 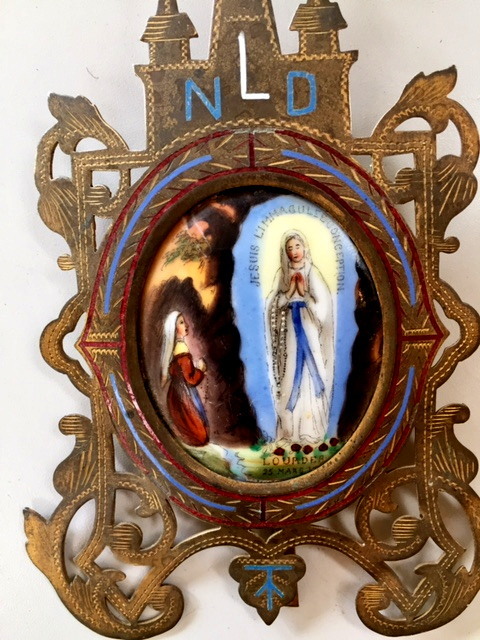 This stunning reliquary features Saint Bernadette and the virgin Mary in the Grotto at Lourdes with a French inscription that says "I am the Immaculate Conception." We have not seen a more beautifully presented Visage in our time. The detail of the flowers, Veils, Faces and Robes is absolutely incredible. 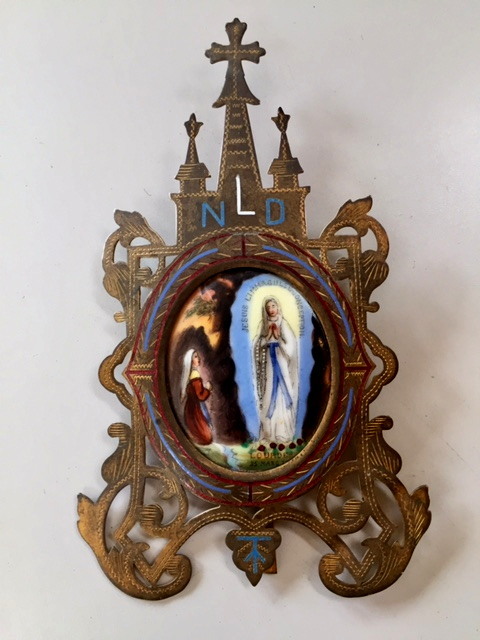 The painting is executed by hand and the GothicÂ frame inlaid with Enamel is the First of its kind I have encountered. It is mesmerizing in Gilded Silver with an incised design. Measures approx. 3.75â€� Wide by 6â€� Tall. 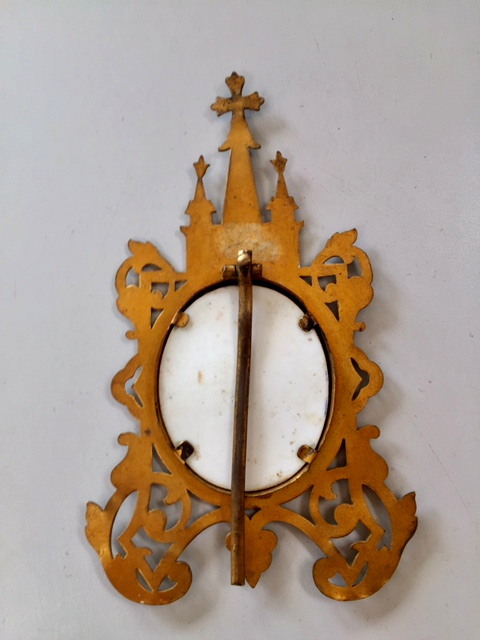 If You collect French Religious Artifacts this Painting/Reliquary will surely be The highlight of your Collection!!! Back has an easel stand for immediate gratification in your chateau! Would be a much appreciated GIFT!